The sea, along with many of the species within it, has strong cultural resonance for those who live beside it or who depend upon it. We form deep-rooted connections to seas and oceans, linked to the food, employment and other resources they provide, the recreational opportunities they offer, and of course wider aesthetic values. Community-led forms of marine management, such as community-led marine protected areas (MPAs), provide a means to connect us with our marine resources and to promote local custodianship. They also provide opportunities for testing new forms of management – which can in time influence government processes and protect fragile and important habitats. When communities are involved in conservation management, and local knowledge is incorporated into marine policy making, more locally sensitive and responsive management is achieved – and ultimately our ecosystems are enhanced and enriched. In Scotland, through the leading examples of community MPA designations such as the Lamlash Bay No-Take Zone proposed by the Community of Arran Seabed Trust (COAST) and the Fair Isle Demonstration & Research MPA proposed by the Fair Isle Marine Environment & Tourism Initiative (FIMETI), our experience and evidence is strongly supporting this. 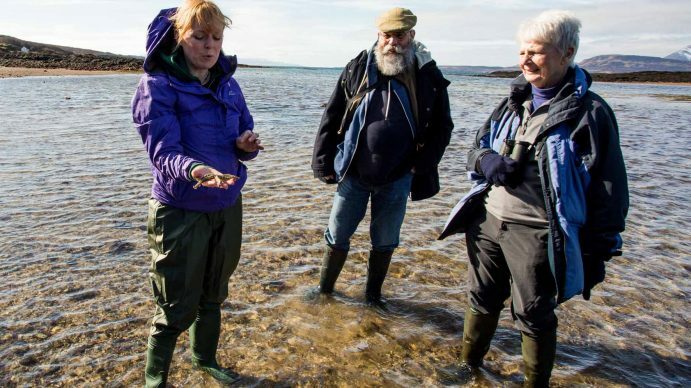 Read all about the local community groups that make up the Coastal Communities Network, for more information on Scottish communities taking action on marine conservation and management. Beyond the conservation tool of marine protected areas, there are other ways in which communities can strive to protect local seas in Scotland. For example, The Crown Estate recently introduced Local Management Agreements (LMAs) to enable coastal communities and organisations to manage areas of seabed and foreshore. A local management agreement is a formal agreement between the Crown Estate and a local partner (which must be a not-for-profit organisation), which gives a degree of exclusivity over relevant areas of Crown foreshore and/or seabed. An LMA can be used to help deliver projects that achieve one or more of the following: bring benefit to local communities; allow community groups to enjoy improved facilities; aid economic development of the locality; protect the natural habitat and wildlife. Download the leaflets below for more information on Crown Estate LMAs. Further afield, we can also witness the positive impacts of involving communities in conservation. 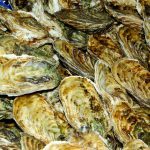 For example, in Cambodia the Cambodian Community Based Organisations (CBOs) known as Community Fisheries (CFi) have been working to designate the country’s first large-scale marine protected areas. Within the South Pacific archipelago of Fiji, indigenous marine management plays an important role as local people use their experiences of traditional management systems for marine resources, such as seasonal bans and temporary no-take areas. In Turkey, conservation-focussed CBOs and local fishers have designated a network of community-patrolled no take zones inside an existing MPA in Gokova Bay (the first example of non top-down MPA management in Turkey), where ex-fishers are now marine rangers. Community efforts led to the creation of one of the largest marine conservation areas in the world, off the coast of the US state of Hawaii, and in 2016 an area to the west of the island group was closed to fishing for a 10 year period. In Costa Rica, community organisations known as Cooperativas have been highlighting the biological improvements in a temporary trawling closure in Tarcoles, leading to a permanent closure. Apo Island in the Philippines is one of the world’s first marine reserves. This protected area has restored a previously degraded reef and is fully supported by the local fishermen. Watch the video story below.